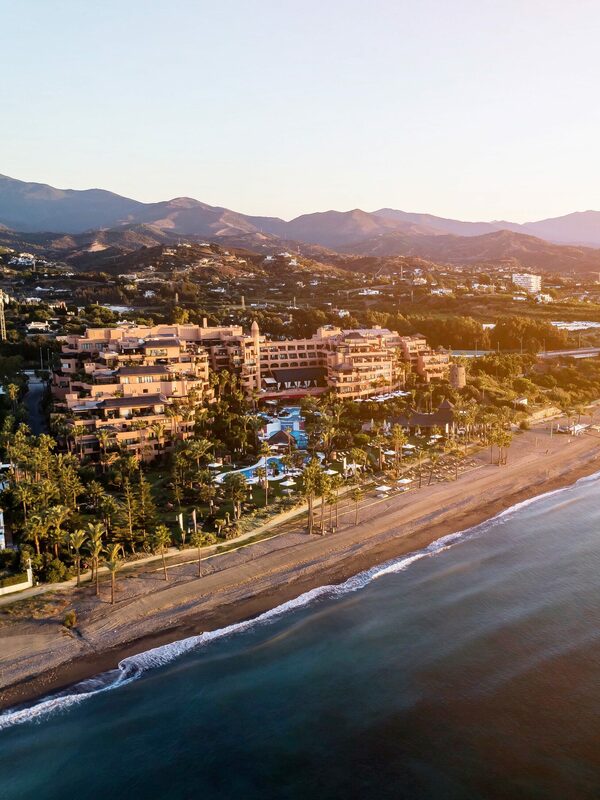 Kempinski Hotel Bahia is located in the very heart of Andalucia on the Costa del Sol, close to the city of Estepona and Marbella. Due to its position, it’s also possible to visit cities such as Seville, Cordoba, Granada and Gibraltar. The nearest Airport is in Malaga and from there you can take a bus or a taxy to reach other zone. 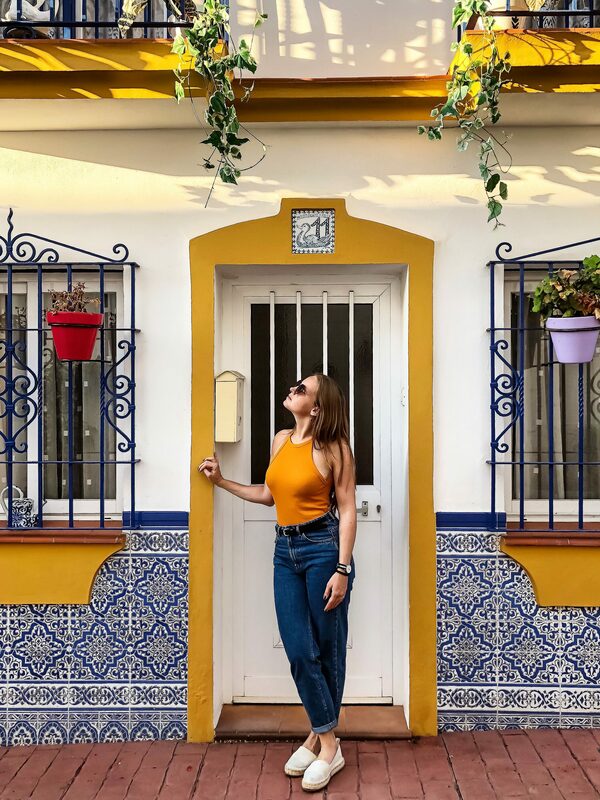 Estepona has one of the most beautiful Old Towns in Andalucia with white streets lined with colorful plants, pretty squares and parks. We reached this city by bike from our hotel and it was nice because the road is along the beach so you can enjoy the panorama while cycling. 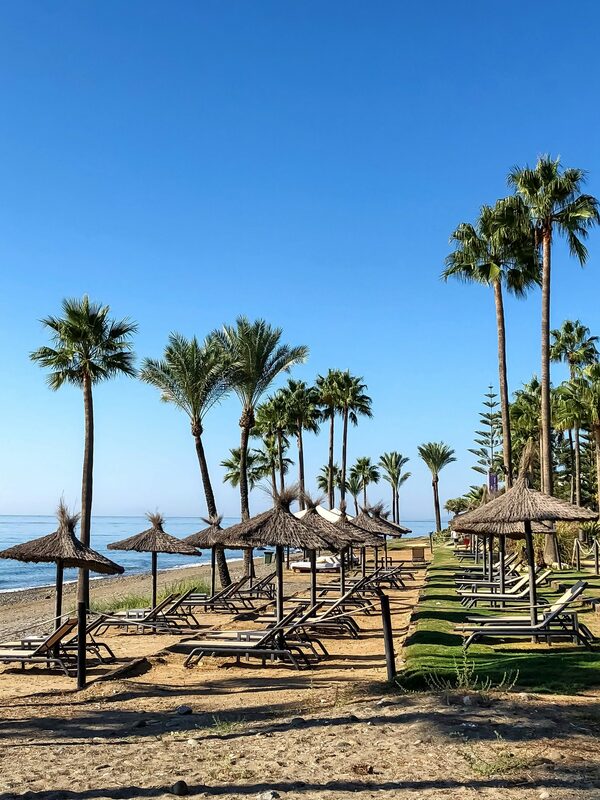 Estepona offers very good climate, traditions but also a modern side and infrastructure and thanks to this it’s a great place to visit, even if it’s not a known spots on the Costa del Sol. This hotel offers a front-line beach position with stunning views over the Mediterranean Sea and the Coast of Africa. I was fascinated by the subtropical gardens that covers an area of 40000 sq.m. and the three outdoor pools. There is a private area at the beach where you can enjoy a dip in the Mediterranean Sea. 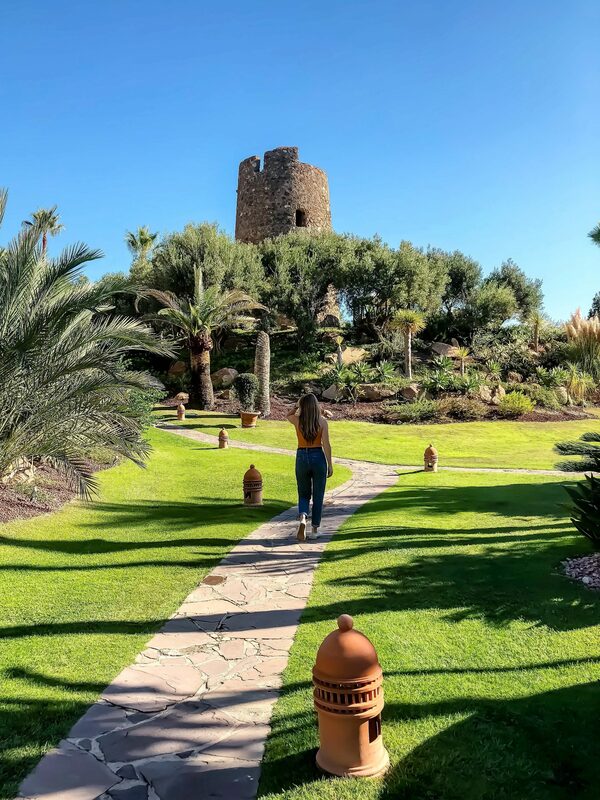 A historical highlight is the ancient Almenara Tower where guests can book a romantic private dinner or different events. Moreover, the 128 rooms and 17 suites plus the Spa complete harmoniously the building. Each room has a terrace and balcony with astonishing views of the garden and sea. The size starts from 42 sq m to the 460 sq m of the Royal Suite. Moreover, there are 89 private apartments that can be both rented or bought. The Kempinski Spa has a contemporary and elegant design and includes a fitness centre, a Finnish sauna, a steam room and a relaxation area. 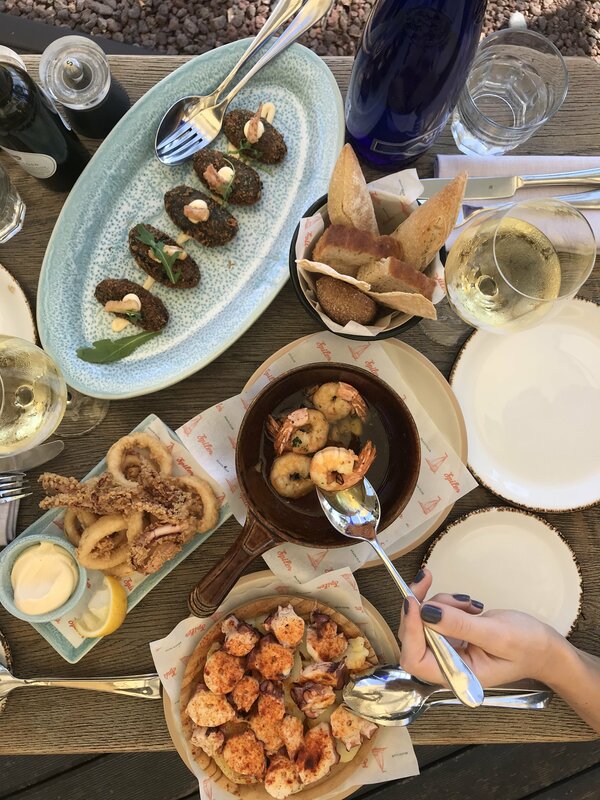 El Paseo del Mar is a gastronomic playground on the Costa del Sol which comprises different concepts: Black Rose the Bar, Baltazar Bar & Grill and Spiler Beach Club. 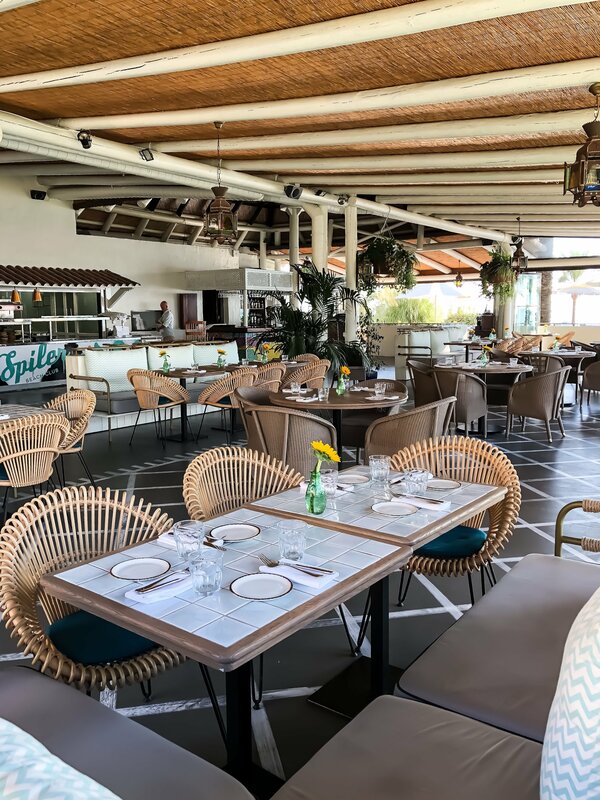 After the recent redesign, Kempinski Hotel Bahia has reopened with a new amazing lobby and dining venues. 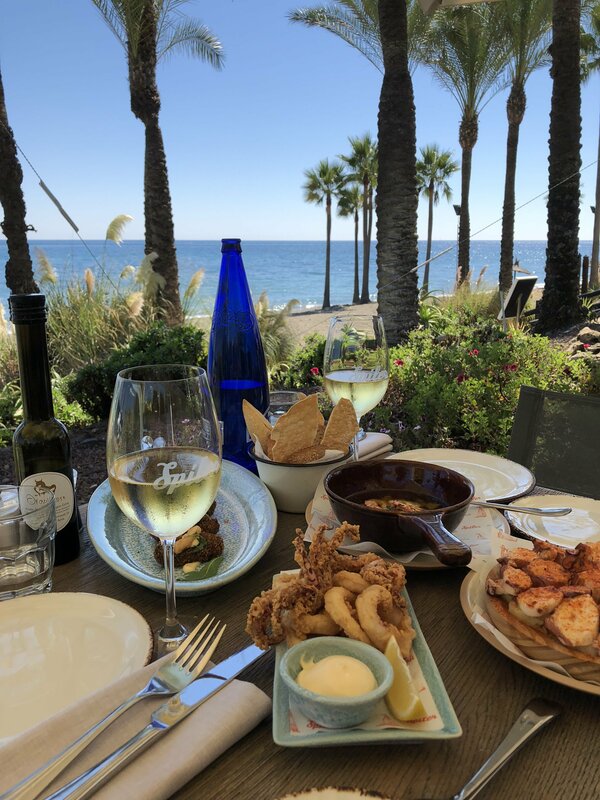 Paseo del Mar could be defined as a new gourmet destination in Estepona and as the perfect choice for every occasion. Black Rose is a cocktail lounge and bar, located directly in the newly renovated lobby and terrace of the hotel. 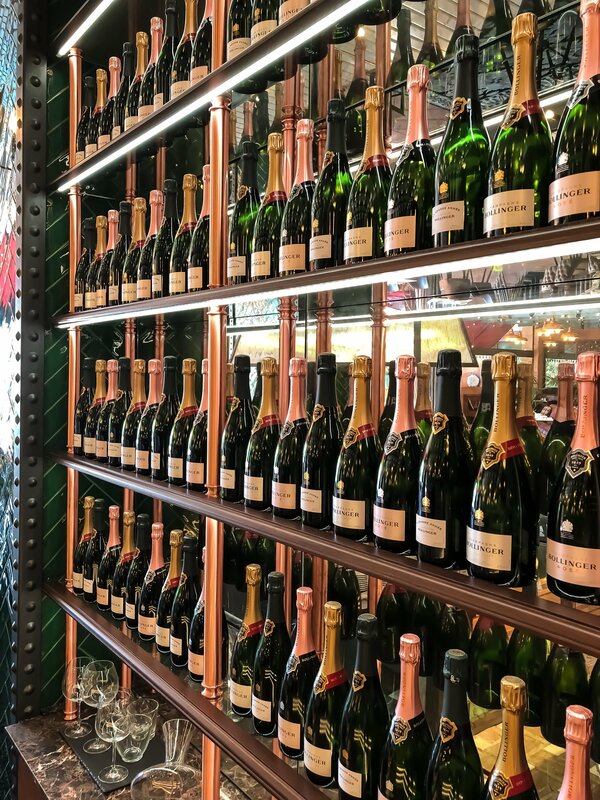 Here you can find fine wines, local crafts beers, cocktail creations. Sipping one here during the sunset is an unparalleled experience, with a relaxing atmosphere and the view over the African Coast and the Mediterranean. 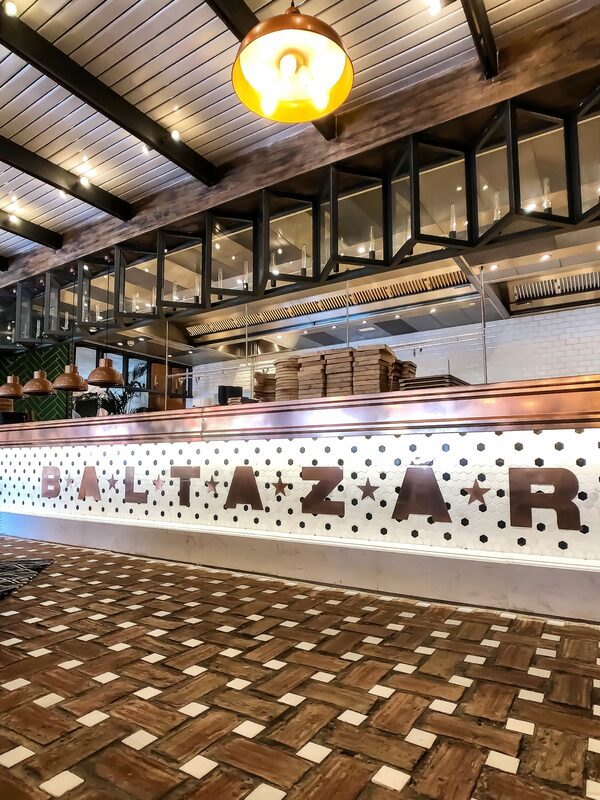 Baltazar Bar & Grill is created from a traditional bodega with the addition of some urban elements. The products used are Spanish yet the cooking techniques are both local and international. The result is a gastronomical experience set in stylish and cozy location with a view over the gardens and the pools. The highlights are Spanish dishes, grilled meats and fresh fish. Least but not last, Spiler Beach Club, obviously the elegant and impressive bar and restaurant located right on the beach. It’s perfect during the day for a more informal break, both at breakfast or lunch, and at night to impress with its laid-back style. Here the chefs prefer to use freshest ingredients from the region of Andalucia. The seafood is the king, but you can find also vegetables, fruits, great meats, sweet cakes, as you can see below from the shots. The taste is incredible! 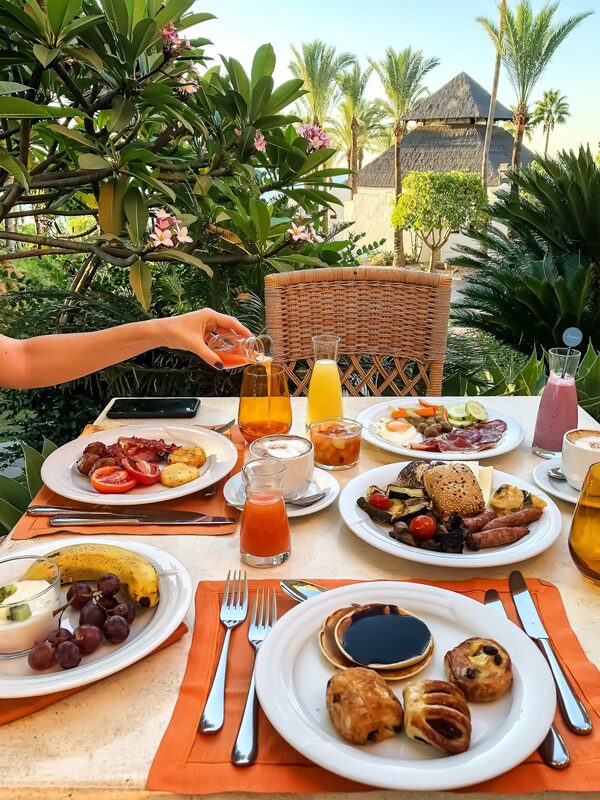 And is there a better way to start your day sun-kissed with all these delicious food? No, I don’t think so… Try it but I know you already believe us due to the shots! If you need more tips, write here a comment! The village of Estepona likes enchanting. I am not a big fan of a huge hotel as I prefer cozier, small luxury hotels but it looks like you had a great time there and this is the most important thing. Lovely post and pictures. I definitely want to go there and be spoiled! 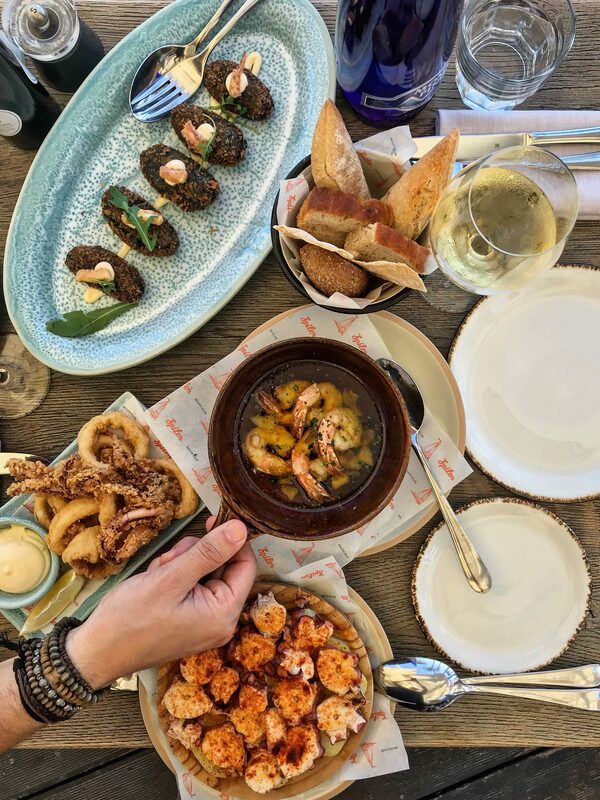 Andalusian cuisine is one of my faves, so complex and delicious! Wow, this place looks like a real paradise. I sure wouldn’t mind spending a few days here relaxing. Thank you for sharing! This looks like absolute paradise! A day at the beach and then all that mouth-watering food? Count me in! Lovely post! Yes Danielle, the food is so amazing, especially the seafood ! The hotel looks lovely, so do the surrounding streets. Looks like a good escape for me out of Scandinavia, where all hotels looks almost the same. Great shots captured. Beautifully written blog. Thanks for sharing this information. 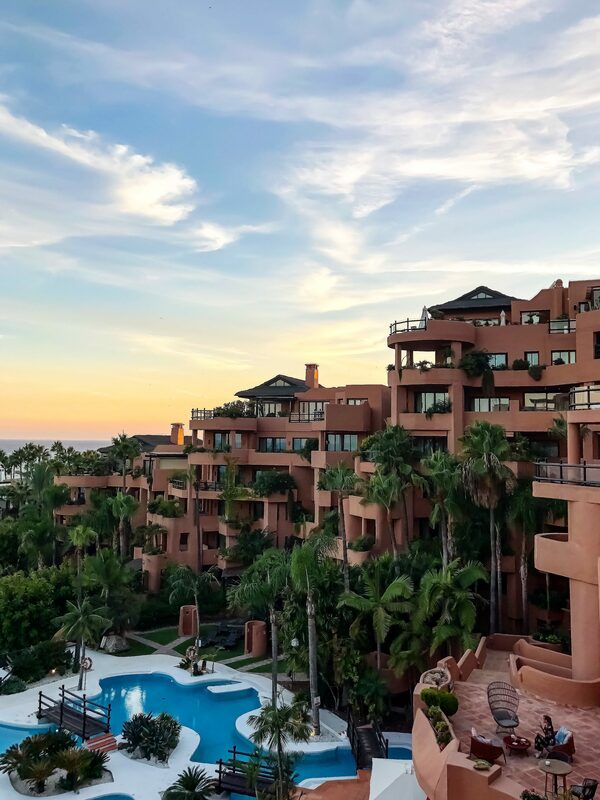 This hotel in Estepona looks stunning with full of luxury and also a beautiful view of nature. 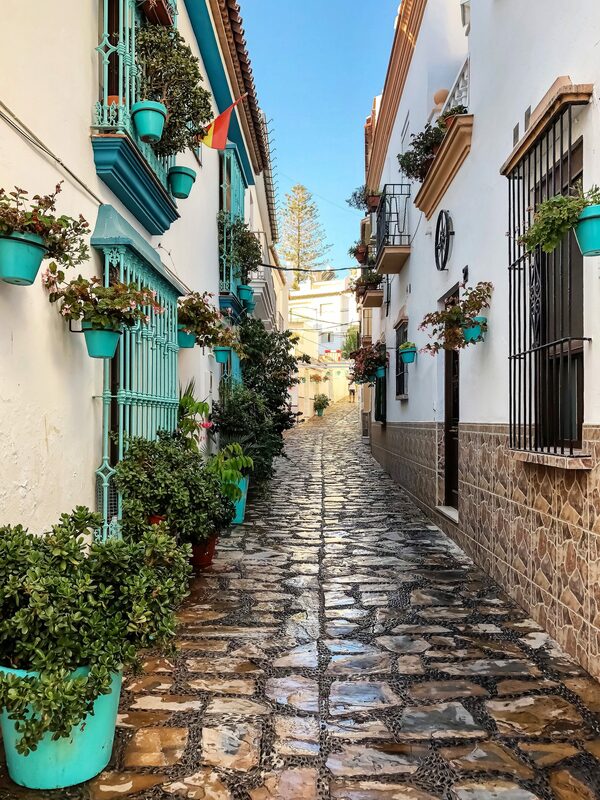 Those quirky, cobblestoned streets of Estepona are photogenic and very colorful. Laying around in subtropical gardens must be great here and a true relaxation. This looks absolutely incredible. I need to be there right now! I was lucky enough to stay at the Kempinski in Bangkok several years ago but haven’t really seen any of their other properties. But this one looks divine. Hello Amelia, I would love to see the Kempinski hotel in Bangkok, I’m pretty interesting for its architecture and structure. I have seen others here in Europe and each one is very charming and unique! Looks like a beautiful hotel with all the luxury needed. The town looks wonderful with the cobbled streets and gorgeous houses. Beautiful resort in an amazing city. The food photographs are making me a little hungry! Looks delicious! Looks like a very luxurious resort. 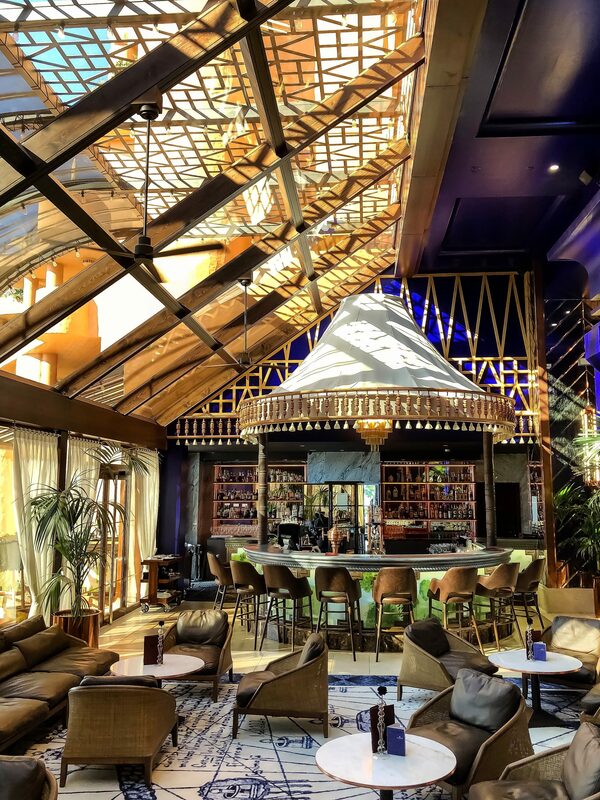 I love the design of the cocktail bar with the high ceilings, looks very cool. 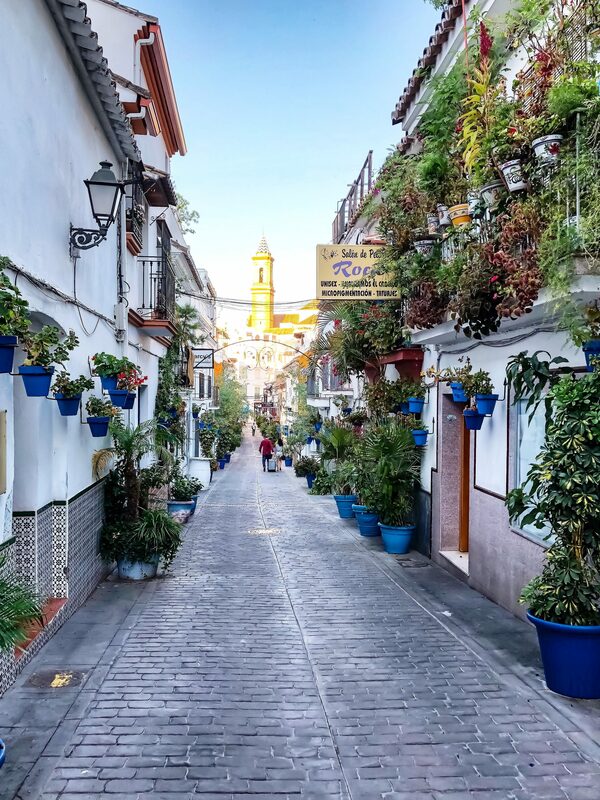 Estepona is such a Southern Spanish town with the white walls and small streets. I love it and wanted to eat all of the food from your pictures. Looks like a well relaxed stay. I have been to Andalucia many many years ago and now dying to go back after reading your post! I am so ready for some winter sun and Estepona seems like the perfect place to do so! Yes Claire, I think it’s good all year long but especially in autumn and spring. During the winter is okay, too! The name of the coast is “Costa del Sol”, due to the presence of the sun during all the year! You would love them for sure! The photos are indeed awesome especially the aerial one. I would love to visit it one day, and experience being relaxed. The food images are inviting by the way! Cheers! Hello Clement, the foos was amazing, very fresh and well served, accompanied by fine wines! I have to admit i haven’t heard of this places before. I wish i knew!. Estepona looks stunning. It could be perfect for a romantic getaway to i guess. Don’t you think? Hello Jen! Yes, it would be perfect for a romantic getaway, there are lots of experiences you can do there together for enjoying the journey. But it’s always good for families and friends. Wow the imagery is amazing and now I want to go there, definitely going into my bucket list. How did you get the pics with no one in them did you wake up early?